These presentation slides 34484 are complete compatible with Google Slides. Simple download PPTX and open the template in Google Slides. 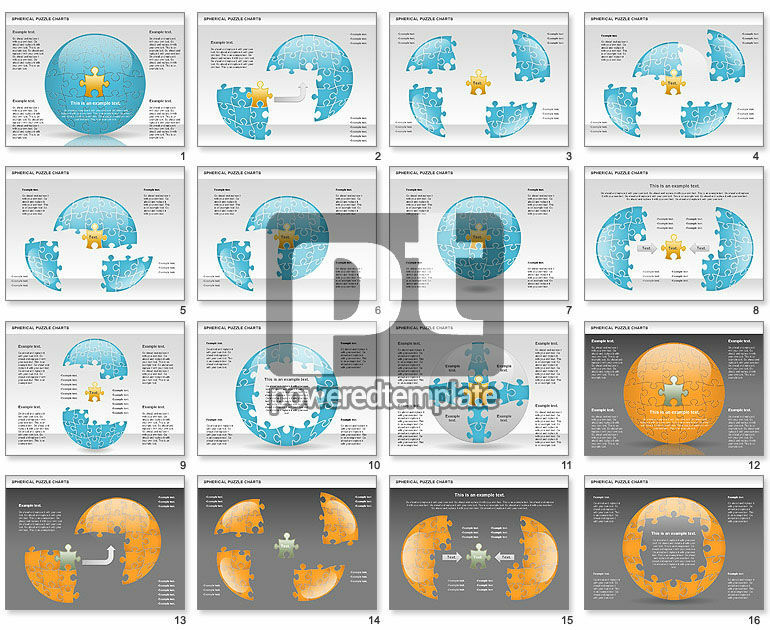 Spherical Puzzle Chart with last puzzle not installed could show to your audience final step of successful completion of the project, success of development, stages of business processes, etc.